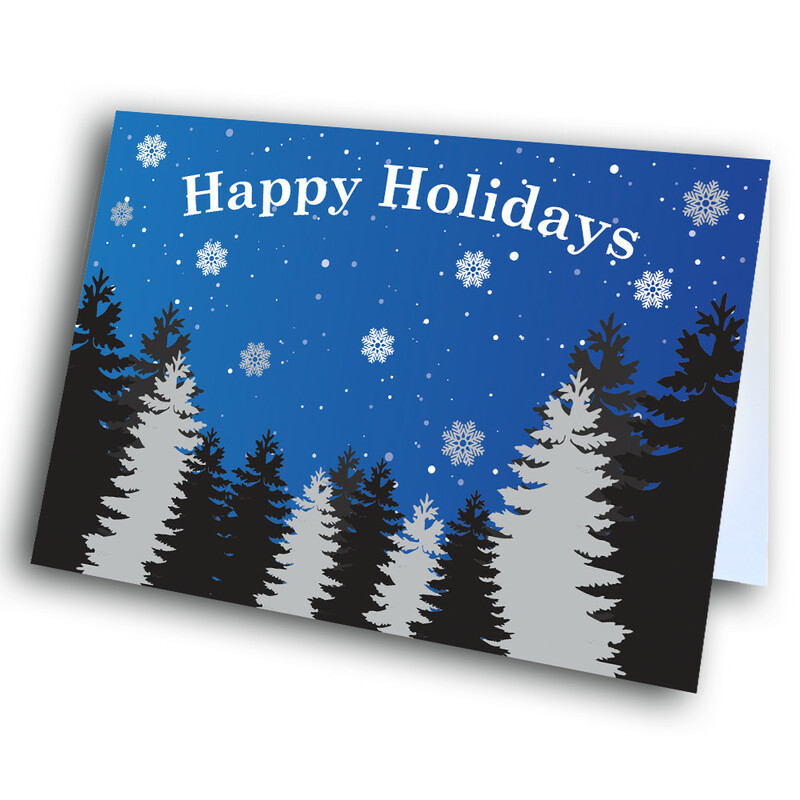 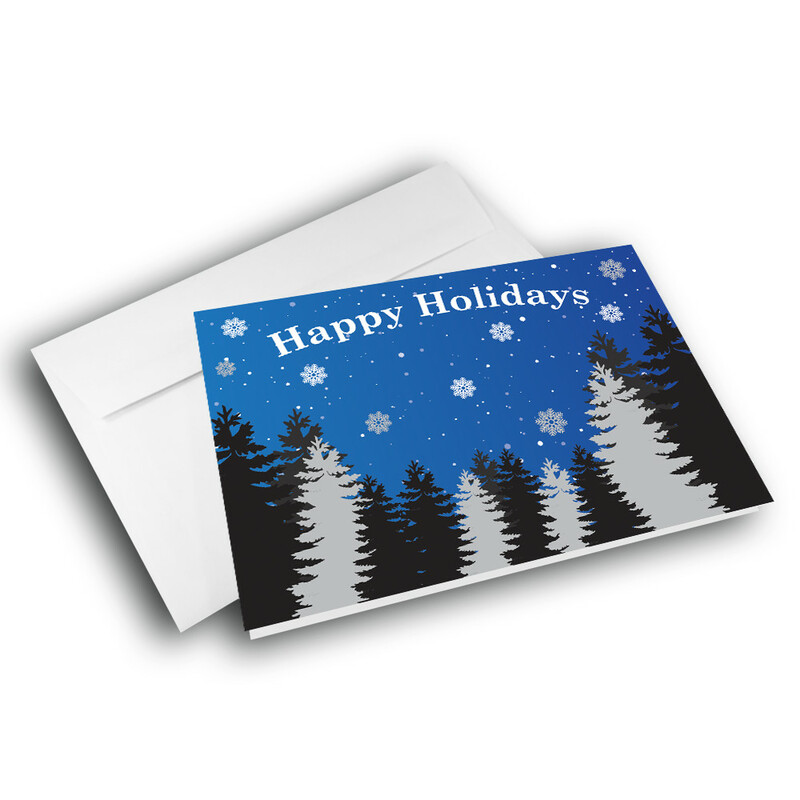 Share some holiday greetings with a midnight snowfall. 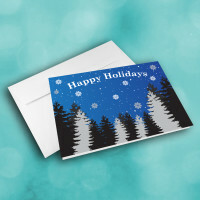 This holiday-season greeting card paints the picture of fresh snow in the woods. 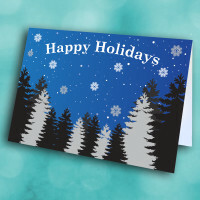 It is adorned with detailed snowflakes and striking trees, set against a dark blue sky. 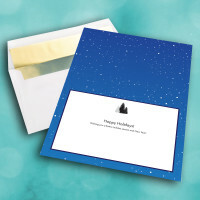 The simple standard message inside is perfect for spreading holiday cheer to those around you. 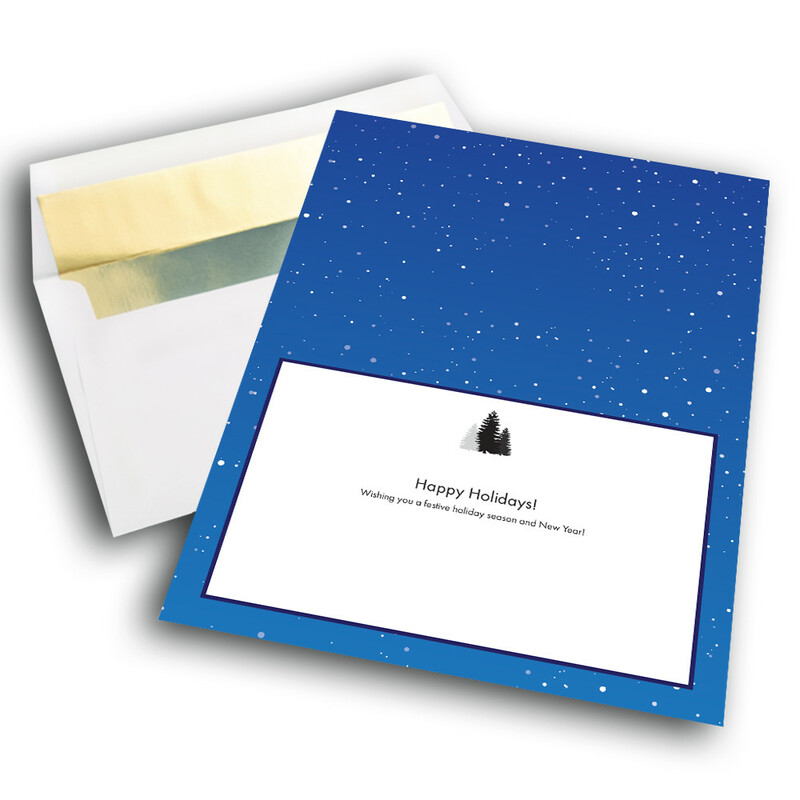 The card can also be personalized to give it your own, personal touch.